Motive offers multiple options to stream tracking data onto external applications in real-time. 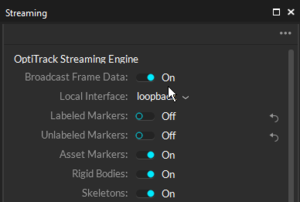 Streaming plugins are available for Autodesk Motion Builder, The MotionMonitor, Visual3D, Unreal Engine 4, 3ds Max, Maya (VCS), VRPN, and trackd, and they can be downloaded from the OptiTrack website. 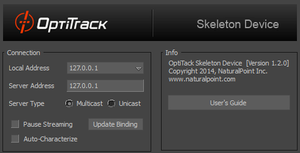 For other streaming options, the NatNet SDK enables users to build custom clients to receive capture data. All of the listed streaming options do not require separate licenses to use. Common motion capture applications rely on real-time tracking, and the OptiTrack system is designed to deliver data at an extremely low latency even when streaming to third-party pipelines. This page covers configuring Motive to broadcast frame data over a selected server network. Detailed instructions on specific streaming protocols are included in the PDF documentation that ships with the respective plugins or SDK's. Read through the Data Streaming Pane page for explanations on each setting. Broadcast Frame Data set to true for streaming. Select the network interface address for streaming data. Select desired data types to stream under streaming options. 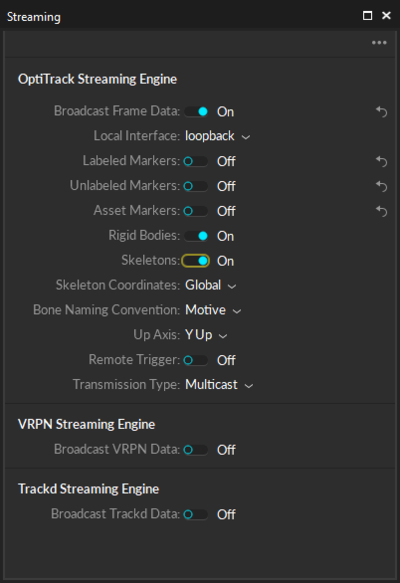 When streaming skeletons, set the appropriate bone naming convention for client application. Check Broadcast Frame Data at the top. It is important to select the network adapter (interface, IP Address) for streaming data. Most Motive Host PCs will have multiple network adapters - one for the camera network and one (or more) for the local area network (LAN). Motive will only stream over the selected adapter (interface). Select the desired interface using the Data Streaming Pane in Motive. The interface can be either over a local area network (LAN) or on the same machine (localhost, local loopback). If both server (Motive) and client application are running on the same machine, set the network interface to the local loopback address (127.0.0.1). When streaming over a LAN, select the IP address of the network adapter connected to the LAN. This will be the same address the Client application will use to connect to Motive. Skeleton device pane in MotionBuilder. 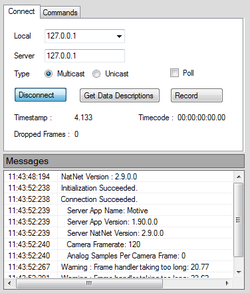 Sample client application created using NatNet SDK. Sample .NET sample created using NatNet SDK. Firewall or anti-virus software can block network traffic, so it is important to make sure these applications are disabled or configured to allow access to both server (Motive) and Client applications. Before starting to broadcast data onto the selected network interface, define which data types to stream. Under streaming options, there are settings where you can include or exclude specific data types and syntax. Set only the necessary criteria to true. For most applications, the default settings will be appropriate. When streaming skeleton data, bone naming convention formats annotations for each segment when data is streamed out. Appropriate convention should be configured to allow client application to properly recognize segments. For example, when streaming to Autodesk pipelines, the naming convention should be set to FBX. NatNet is a client/server networking protocol which allows sending and receiving data across a network in real-time. It utilizes UDP along with either Unicast or Multicast communication for integrating and streaming reconstructed 3D data, rigid body data, and skeleton data from OptiTrack systems to client applications. Within the API, a class for communicating with OptiTrack server applications is included for building client protocols. Using the tools provided in the NatNet API, capture data can be used in various application platforms. Please refer to the NatNet User Guide For more information on using NatNet and its API references. NatNet streams rotational data in quaternions. 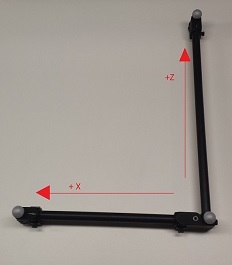 If you wish to present the rotational data in the Euler convention (pitch-yaw-roll), the quaternions data need to be converted into Euler angles. In the provided NatNet SDK samples, the SampleClient3D application converts quaternion rotations into Euler rotations to display in the application interface. The sample algorithms for the conversion are scripted in the NATUtils.cpp file. Refer to the NATUtils.cpp file and the SampleClient3D.cpp file to find out how to convert quaternions into Euler conventions. If desired, recording in Motive can control or be controlled by other remote applications via sending or receiving either NatNet commands or XML broadcast messages to or from a client application through the UDP communication protocol. This enables client applications to trigger Motive or vise versa. Using NatNet commands is recommended because they are not only more robust but they also offer additional control features. XML Triggering Port: Command Port (Advanced Network Settings) + 2. This defaults to 1512 (1510 + 2). Tip: Within the NatNet SDK sample package, there is are simple applications (BroadcastSample.cpp (C++) and NatCap (C#)) that demonstrates a sample use of XML remote trigger in Motive. Name Name of the Take that will be recorded. SessionName Name of the session folder. Notes Informational note for describing the recorded Take. Assets List of assets involved in the Take. DatabasePath The file directory where the recorded captures will be saved. Start Timecode Timecode values (SMTPE) for frame alignments, or reserving future record trigger events for timecode supported systems. Camera systems usually have higher framerates compared to the SMPTE Timecode. In the triggering packets, the subframe values always equal to 0 at the trigger. Name Name of the recorded Take. Notes Informational notes for describing recorded a Take. Timecode Timecode values (SMPTE) for frame alignments. The subframe value is zero. NatNet SDK Y Y Y Runs local or over network. 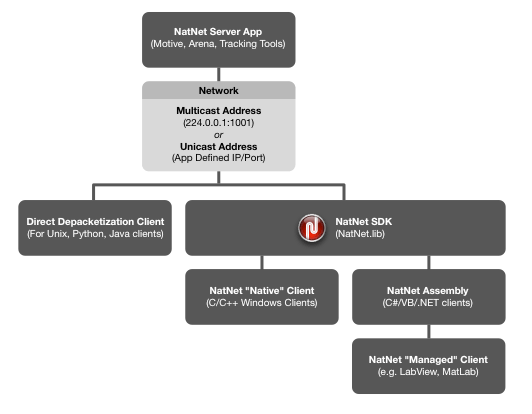 The NatNet SDK includes multiple sample applications for C/C++, OpenGL, Winforms/.NET/C#, MATLAB, and Unity. It also includes a C/C++ sample showing how to decode Motive UDP packets directly without the use of client libraries (for cross platform clients such as Linux). 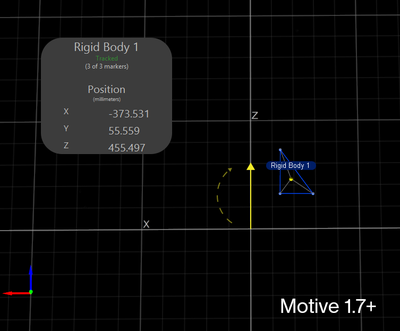 Autodesk MotionBuilder Plugin Y Y Y Runs local or over network. Allows streaming both recorded data and real-time capture data for markers, rigid bodies, and skeletons. Visual3D Y N N With a Visual3D license, you can download Visual3D server application which is used to connect OptiTrack server to Visual3D application. Using the plugin, Visual 3D receives streamed marker data to solve precise skeleton models for biomechanics applications. VRPN N Y N Runs local or over network. Includes source code (C++) of a sample implementation for VRPN streaming. The Virtual-Reality Peripheral Network (VRPN) is an open source project containing a library and a set of servers that are designed for implementing a network interface between application programs and tracking devices used in a virtual-reality system. trackd N Y N Runs local or over network. Provides streaming implementation with the trackd module. Trackd is a network streaming infrastructure that takes in data from tracking applications (e.g. Motive) and makes it available for other applications to use. The provided DLL library and the CONF file can be imported into the Trackd software for delivering the mocap data to other applications. Motive API Y Y N Runs Motive heedlessly. Best Motive command/control. Also provides access to camera imagery and other data elements not available in the other streams. This page was last modified on 10 April 2019, at 17:51.